Kevin Krieger has 25 years of experience in commercial real estate, senior and multi-family housing, real estate fund management, technology management, operations-facilities management, and public accounting. Most recently, he was the manager of the Bellevue team for Lemaster Daniels’ “CFO As You Grow” program. 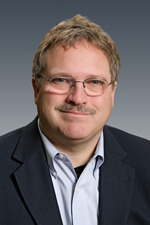 Prior to that, he was CFO of Wilkinson Corporation, and has also served as CFO and Corporate Controller of several other firms, including The Dolsen Companies (Coca Cola of Yakima and Tri-Cities). He has been a Senior Auditor, and was Supervisor of Credit & Collections for the Retailer Finance Division of GE Capital. 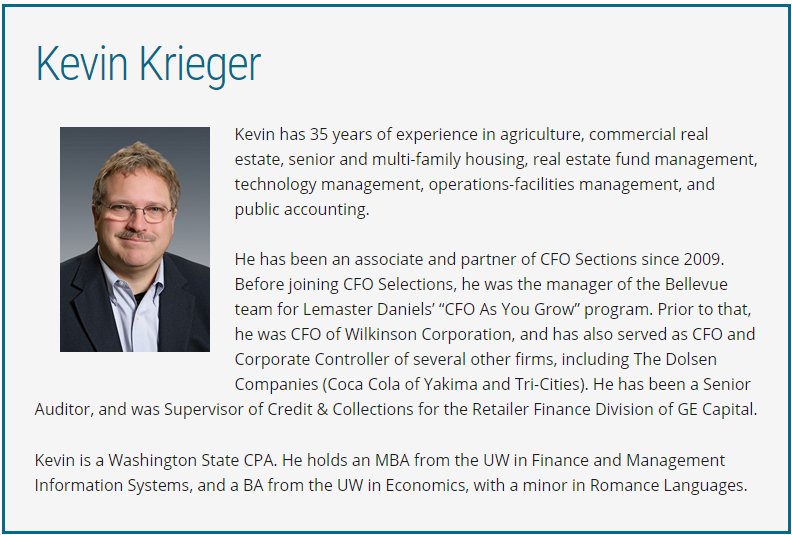 Kevin is a Washington State CPA and has earned the CCIM designation for expertise in commercial real estate. He holds an MBA from the UW in Finance and Management Information Systems, and a BA from the UW in Economics, with a minor in Romance Languages.